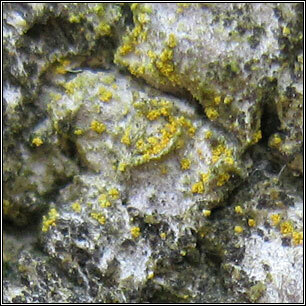 Species: Caloplaca citrina sens. str. Photos: On Olearia branch. Allihies, Co. Cork, SW Ireland. Very variable. 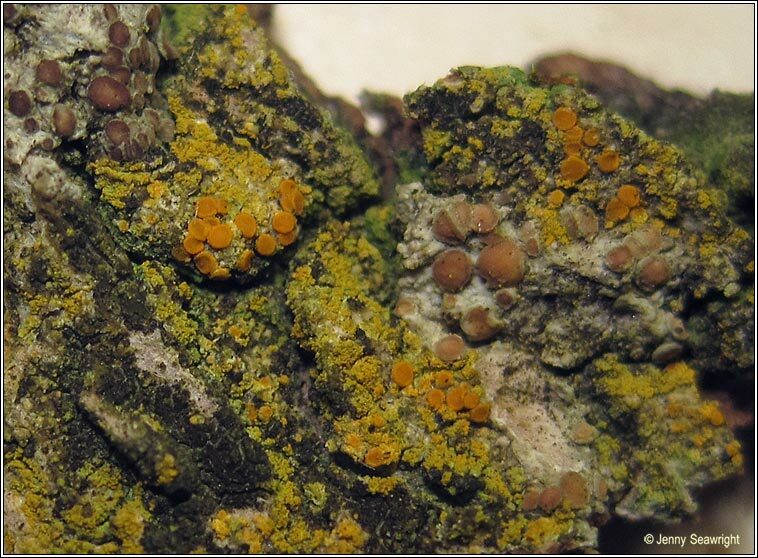 Yellow to greenish-yellow or orange thallus comprised of minute, sometimes lobed, granules +/- entirely covered with orange soredia. Yellowish-orange apothecia with sorediate paler margins. 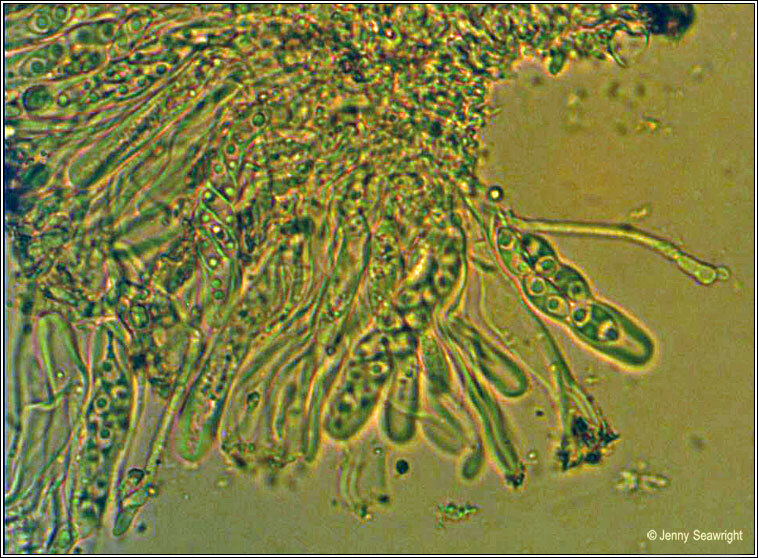 Spores 10.5-15 x (4-)5-7.5(-8) µm, septum 3-5 µm. The asci are often long and narrow. Microscope photograph below. Thallus and apothecia K+ crimson / purple. 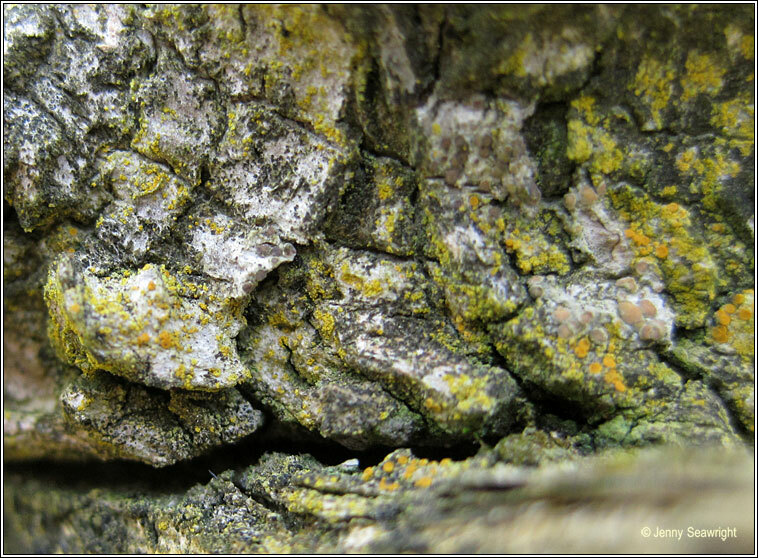 Very common on walls, mortar and calcareous rocks, also sometimes found on bark, moss and soil.